American.Bible is a website of American Bible Society. For nearly 200 years, American Bible Society has worked to share God’s Word with those who need it most, empowering more people to experience the transformative love of Jesus. As we enter our third century of ministry, we continue to carry out this mission by working to see 100 million people actively engaged with God’s Word in the United States—and by translating the Bible into 100% of languages needed to reach all people. 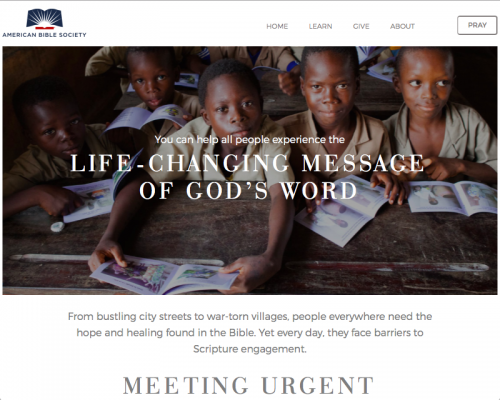 As the registry operator for the .BIBLE TLD, American Bible Society has been preparing this for several years, and the .BIBLE TLD is a natural evolution of our efforts to bring the life-changing message of the Bible where it’s needed most.